5 Bedrooms, 4 Bathrooms, Occupancy 16, Ski In and Ski Out Access Silver Wolf Lodge is a spectacular new addition to our collection of luxury Powder Ridge cabins has features not found in any other cabin. The owner included every amenity possible to make your vacation perfect, even air-conditioning on the main and lower level, a rare luxury in Big Sky! Custom furniture from one of the area's most popular design team coupled with high end finishes and features are a winning combination! The home features a lovely wrap-around deck, extra large hot tub, outdoor firepit, 4 bikes for guest use and more... 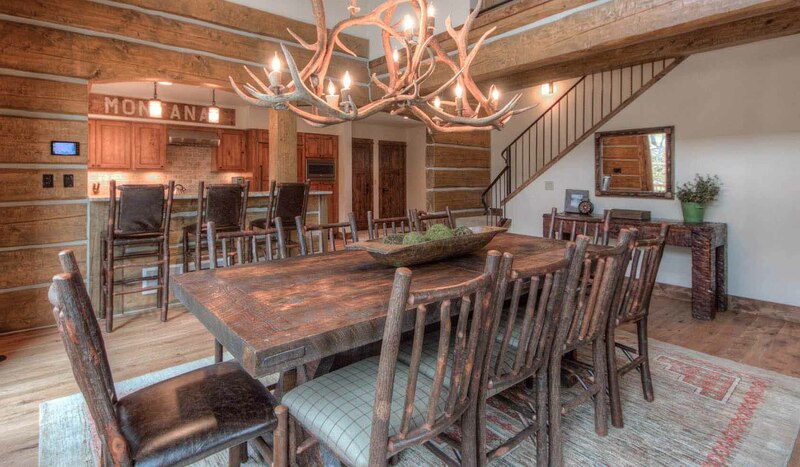 This cabin is perfect for 2-3 families for a ski vacation or summer trip to Yellowstone. Located less than 1 mile from the Big Sky Resort base area and only 1 hour from Yellowstone National Park.